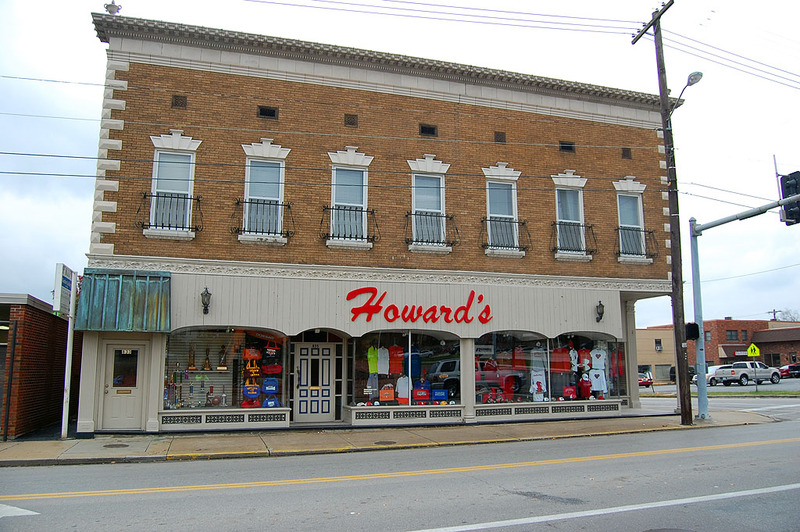 Howard’s Athletic Goods, which provided school PE uniforms and other sporting equipment to the community since 1947, moved diagonally across the Broadway – Pacific intersection in 2009. The original Howard’s building was torn down for Southeast Missouri University parking. I didn’t really have many warm and fuzzy feelings about the old Howard’s building. I always thought it was a bit ugly and run-down looking. Of course, it may also be that I never got over the trauma of having my Mother accompany me there to buy my first jockstrap for Central High School’s Physical Education class. Howard’s may be there now, and other things have occupied that corner over the years, but the building at 835 Broadway will always be Vandeven’s to me. The building at 835 Broadway where Howard’s relocated was the original Vandeven Mercantile Company, founded in 1894 an operated until 1969. 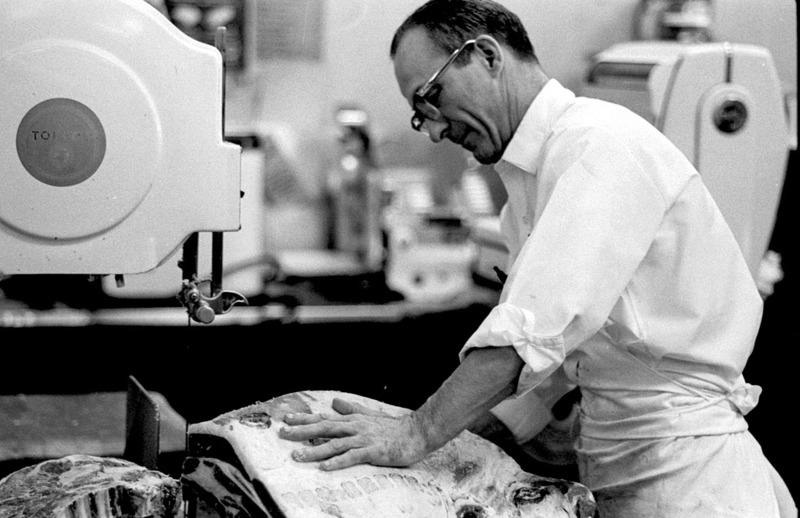 Over the years since 1969, it’s been a number of different businesses. It was Craftsman Office Supply Co. long enough for The Missourian to call it the Craftsman Building. The Grace Cafe moved in 2002. They had great sandwiches and fast Internet connections. I’d gravitate there to connect with my office at faster than dial-up speeds when I was in town on vacation. The upstairs was an art gallery. My folks gave me permission to leave the Trinity Lutheran School grounds almost every day to walk up to Wayne’s Grill across from Vandeven’s. I’ll cover them in a later post. On my way back, I’d stop in at Vandeven’s to pick up candy to resell to kids who couldn’t leave the campus and to kill time before going back to school. My favorite person in the whole store was Miss Blanche Brooks. 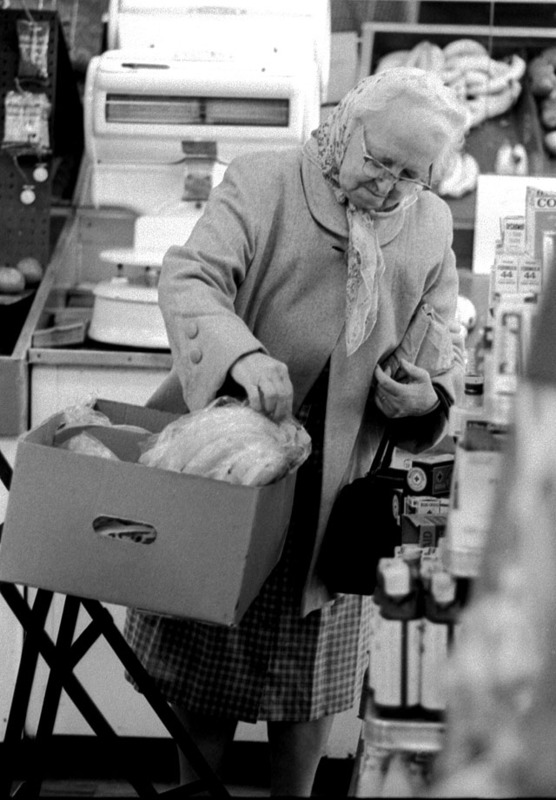 She had already been working in the store for more than a quarter century when I was a kid. 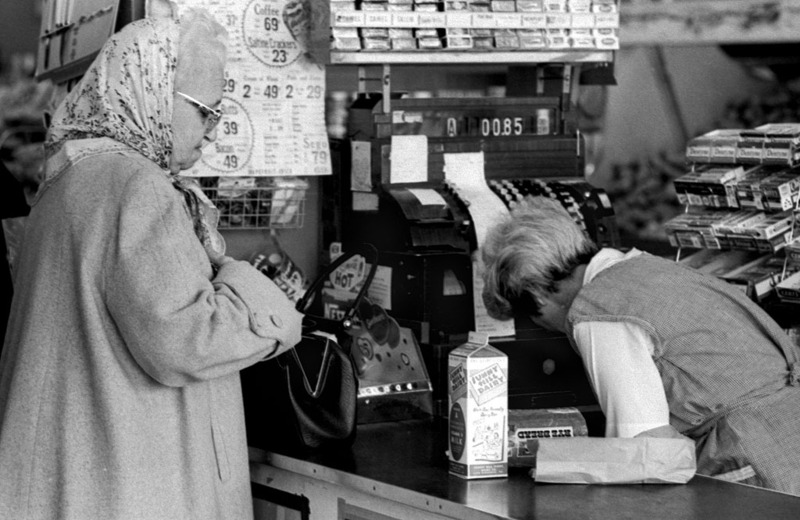 There was another woman working the register, too, but Blanche was the one who would talk to a 10 or 12-year-old kid like his opinions mattered. She may have even given me permission to call her by her first name. I don’t ever recall prefacing “Blanche” with Miss, and I didn’t know her last name until I did this research. 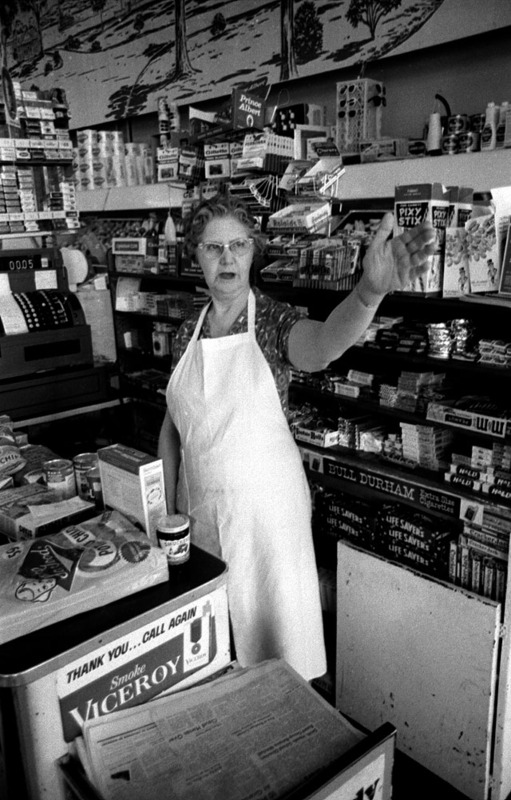 When a customer would come up to the register, I’d fade away until Blanche had tallied the order one item at a time on a big cash register. This was not a place where you would find a scanner or an electrical conveyor belt. It also wasn’t a place where customers were rushed away. I got the feeling that a lot of the folks saw Vandeven’s as a social center where they could catch up on neighborhood gossip. 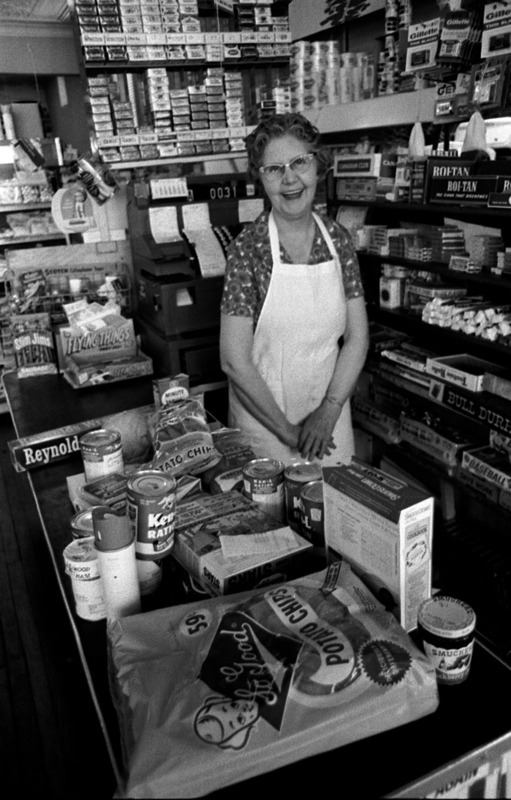 Cecelia “Skeets” Sonderman wrote a great obituary of the store when it was going to close April 5, 1969. Thanks for Google’s News Archive Search, you can read it straight off the microfilm. 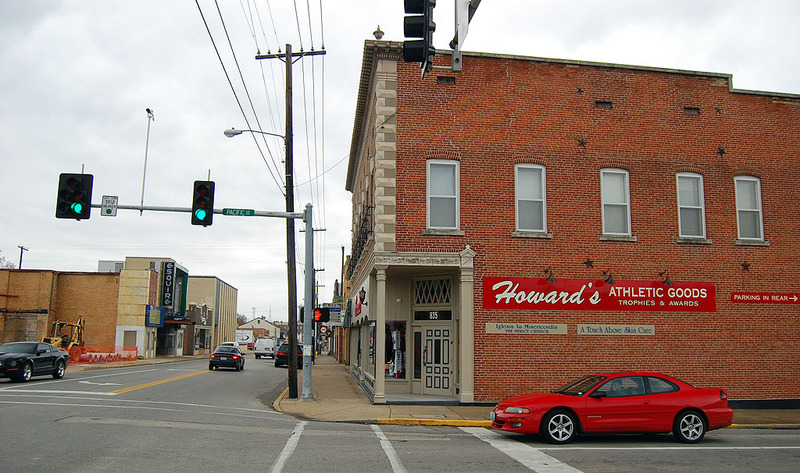 The Missourian article said that the three owners, William Vandeven II, Edwin Vandeven and their sister, Elma A. Haas, were all born on the second floor above the family store. 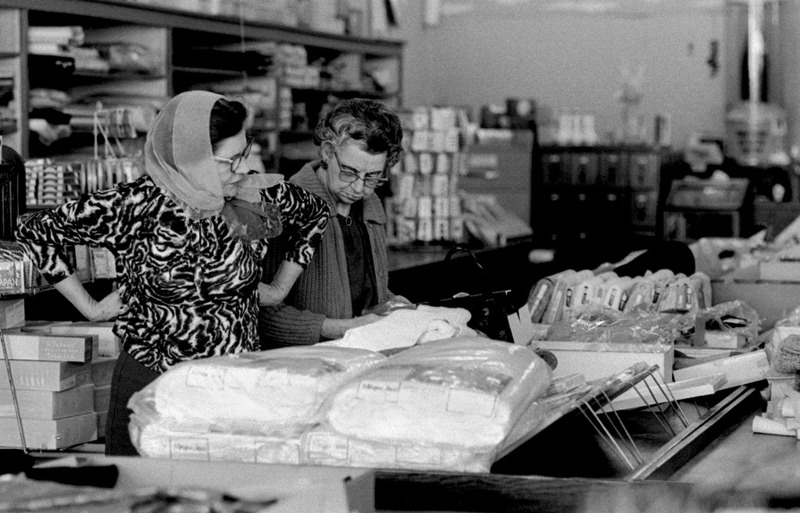 Three employees, including Blanche, had been with the store for years, Skeets wrote. Blaine Swan had been there 43 years (in 1969); Charles Stimle had been there for 35 years. I imagine some of the photos in the gallery show those employees. Elderly customers depended on Vandeven’s unique special services in the days before direct deposit of Social Security and pension checks. 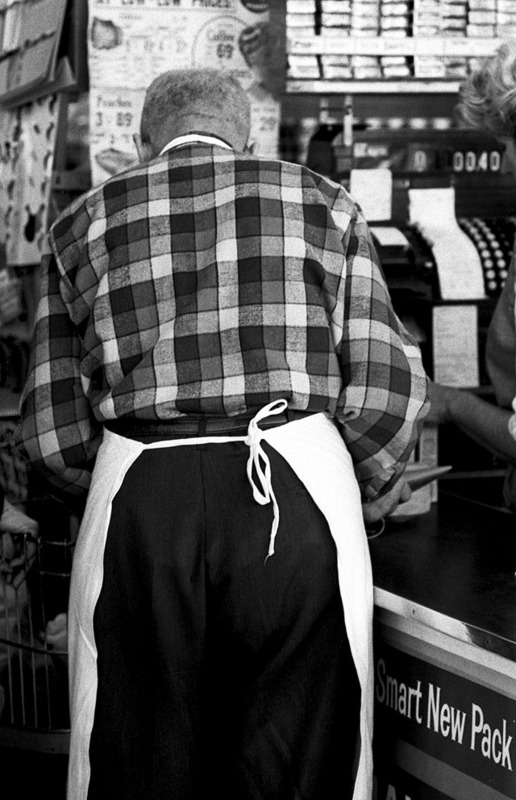 Vandeven’s would send delivery boys with cash to a customer’s home to cash his or her Social Security check. If a long-time customer wasn’t home when the delivery boy arrived, he would enter the home and place the perishables in the refrigerator. They had the usual range of groceries, but they also had their own butcher on premise. 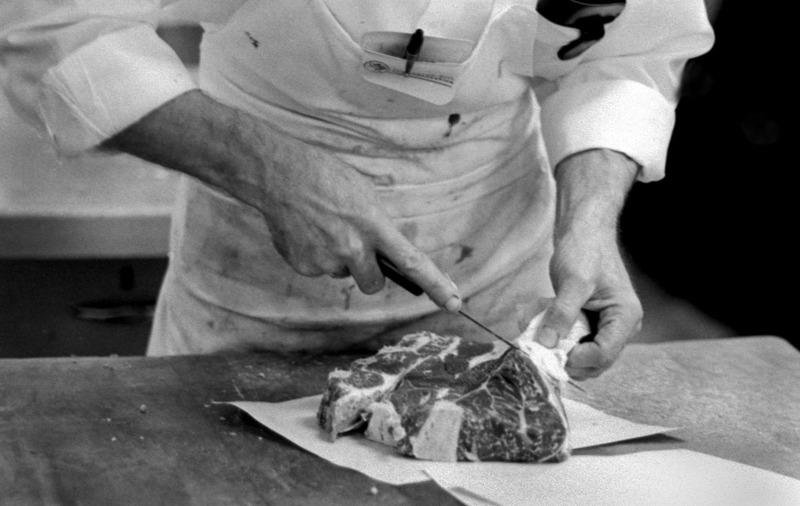 You could watch him wrestle slabs of meat and get exactly the cut you wanted. Vandeven’s was said to be the first store to offer frozen foods. At one time, shoes made up the bulk of sales. I can still remember seeing old-fashioned rubber galoshes on the shelves. Even before you stepped over the wooden door sill that was worn down from generations of foot traffic, you could get a sense of the wide variety of products available. Got a hankering for notions? 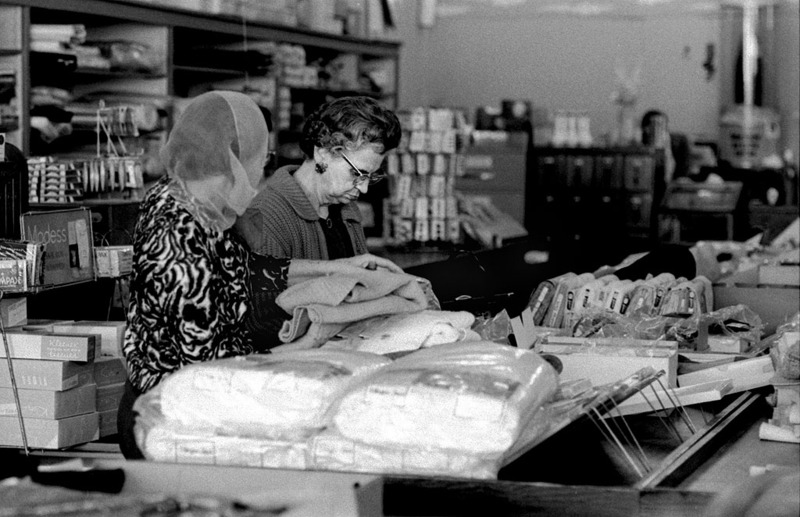 Nearly half the store was made up of material, sewing supplies, patterns and the like. Here is a gallery of photos of the new Howard’s, the parking lot where the old Howard’s was and pictures that I hope will bring back memories of the Vandeven Mercantile Company. The Vandeven’s photos were taken February 4, 1967, when I must have stepped in for a visit. Click on any image to make it larger, then click on the left or ride side of the picture to step through the gallery. We always shopped at Vandeven’s. As a little girl, I remember how important I used to feel because every adult in the store knew my name and was happy to see me. Mom always parked in the back, and we would enter by walking through the back storage area and up the wooden ramp to the back door. Blaine used to tease me as he cut and packaged the meat Mom bought. Do you remember going there each year to select a new piece of oil cloth to cover your desk during art class? Once I stole a piece of gum. On arriving home Mom noticed I was chewing gum and knew she hadn’t given any to me. After unpacking the groceries, we drove back to the store, and I had to give Mr. Vandeven a penny for the gum and apologize. Thus ended a life of crime! Ken, as a Trinity student myself, these photos brought back some forgotten memories. The pic of Blanche Brooks with her arms crossed and smiling, says it all for me. Thanks so much for the Vandeven’s pictures and memories. Sally Bierbaum Dirks brought back many of my memories, as Daddy always parked in the back lot too. Suddenly I could see that entrance, feel the worn wooden floor under my feet, and smell the wonderful aromas of a non-plastic enclosed grocery store. I always had to wander through the notions department to see what was new. 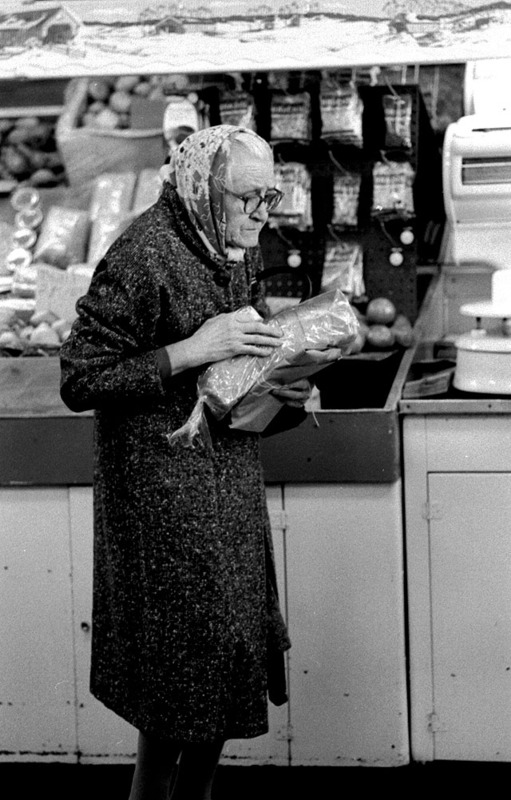 I remember shopping for my Bobby Brooks at Howards…the family was our next door neighbor, and I baby sat the kids – Mike and Kathy – a lot…what a great family! My parents sent me the horrible news about their father’s tragic accident on the river – a boating accident. I hope they are all doing well at this writing. Has anyone any info? Was this the store that had the contest to name the twins of Elsie the Cow? They advertised for Borden ice cream products. I still get hungry for one of those cherry ice cream pies by Bordens. I used to enjoy going with my Mom to the store and was fascinated by the photos of those cows and joined in the interest of naming them. Maybe it was partially that I had a twin brother. He died at St. Francis Hospital in 1948, across from Dr. Herbert’s office, the week we were born pre-mature. Does anyone else remember this at the store? What were the cows named? Do you remember the pie? I think it was wonderful quality pie cherries, and vanilla ice cream. I don’t remember what else. I think I have stood on that corner watching the SEMO homecoming parade. Good memories. I think I remember smelling saw dust or something in there as they swept the floors with a long brush. Wasn’t the beauty school somewhere near there across the street. Remember when it took hours for you or your Mom to get a perm (I call them temporaries because they are never permanent :))and you were connected to all kinds of contraptions over your head? I think every thing was charged individually. Like so much for shampoo, so much for cream rinse etc. Was Hampton’s Bakery also down that street. 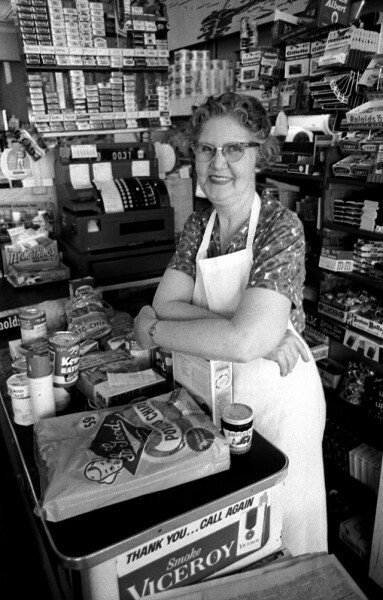 Joy Hampton was my neighbor in high school and I have wonderful memories of she and I spending time in the bakery and having snacks of chocolate iced brownies with nuts and cream horns. I remember Mrs. Hampton or Joy having a graduation cake waiting for me after we graduated from CHS. Does any one know if Joy still lives in Cape or nearby? I have lost track of her. That’s quite a laundry list. 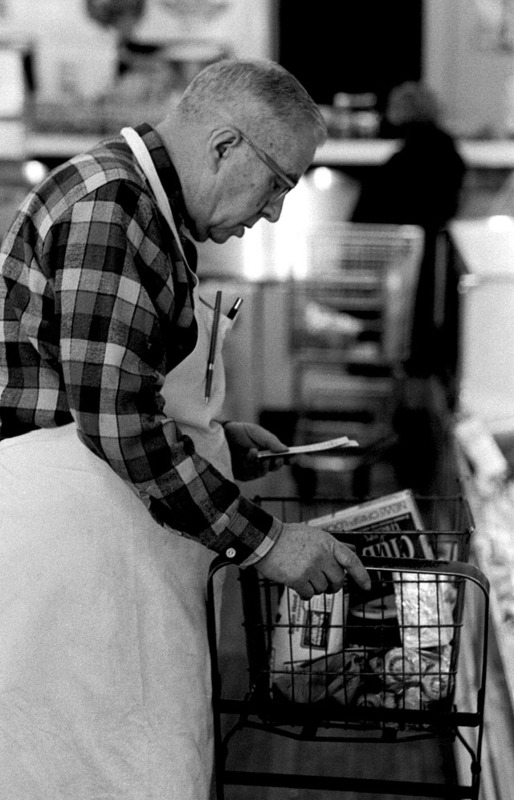 Stores in those days used to use a green-colored oily saw dust to sweep the floors. That’s probably what you’re thinking of. My wife and mother were griping this afternoon about how store-bought, gassed tomatoes don’t taste like the real deal. Son Matt built his mother a garden box in our back yard before we left to come home. The possums run faster than Lila, so they’ve had more of her tomatoes than she has. Hampton’s Bakery was on Broadway, almost across from Houck Stadium. I took some pictures of that block that will show up some time in the near future. Bill Hampton shot our wedding. He passed through West Palm Beach about 20 years ago; that was the last contact I had with any of the Hamptons. His family lived out on Old Jackson Rd. on the bend just west of the I-55 overpass and before Old McKendree Chapel. Prudy, the twin calves of Elsie and Elmer (of Elmer’s glue fame) were ultimately named Larabee and Lobelia. The Beauty School was diagonally across Broadway from Vandeven’s between Howard’s and the First Baptist Church parking lot. Hampton’s bakery was in one of the two round-cornered buildings across from Houck Place and Dino’s Pizza. I remember going to Vandeven’s with my grandmother Alma Robinson and we entered through the back door up that ramp. 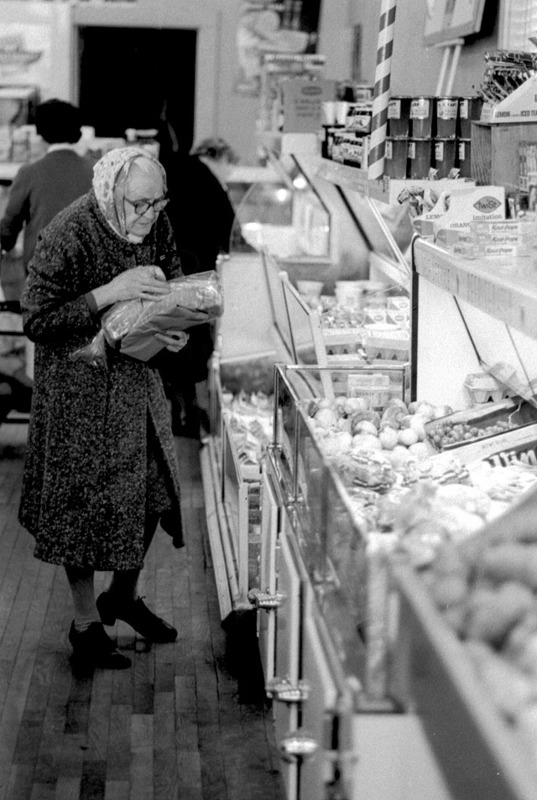 A trip to Vandeven’s always meant that I would be able to pick out some treat thanks to Grandma Robinson! Thank you SO much for these wonderful photos of days-gone-by at the Vandeven store. My grandfather was one of the owners, Edwin Vandeven. 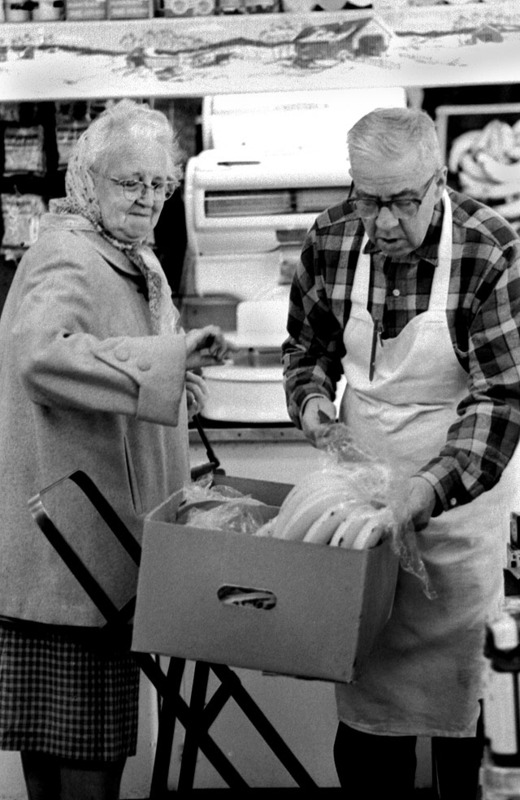 Blanche was a very sweet lady who would patiently put up with this little boy who would run through the store to watch Blaine working at the meat counter. I was allowed to have one free ice-cream item per day, which usually ended up being an orange pushup. 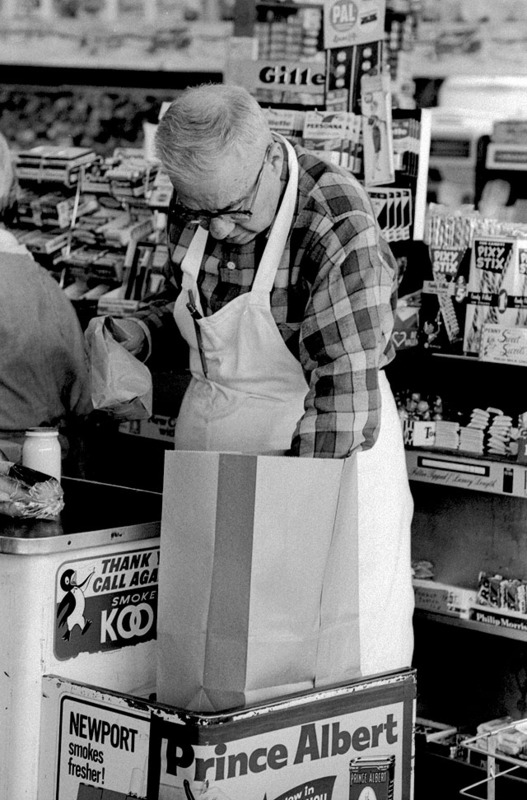 I especially love the photo of my grandpa in the store with the white apron around his waist. I’d give anything to be able to spend one more day there. Thanks again for this stroll through memory lane. Hi Chris, Edwin Vandeven was my great grand uncle. My great grandfather was William Henry Vandeven. Which of Edwin’s son’s was your father? We are second cousins 1x removed, I believe. It was wonderful to sit with my father (Edwin) and reminisce about the visits to Vandevens store when I was a young child visiting my grandparents. Grandpa would take me in the store after closing and let me pick one thing out and threatened me with life if I told anyone. Those were some of the happiest days of my childhood vacationing in Cape. Chris I also remember days playing with you at Grandma’s house. Hi Patty. I do remember doing a lot of playing at gramma’s house. We couldn’t get too rowdy though…gramma said it made her nervous. When it got close to noon, she would send me to the front room to watch for grampa coming home for the big noon dinner. 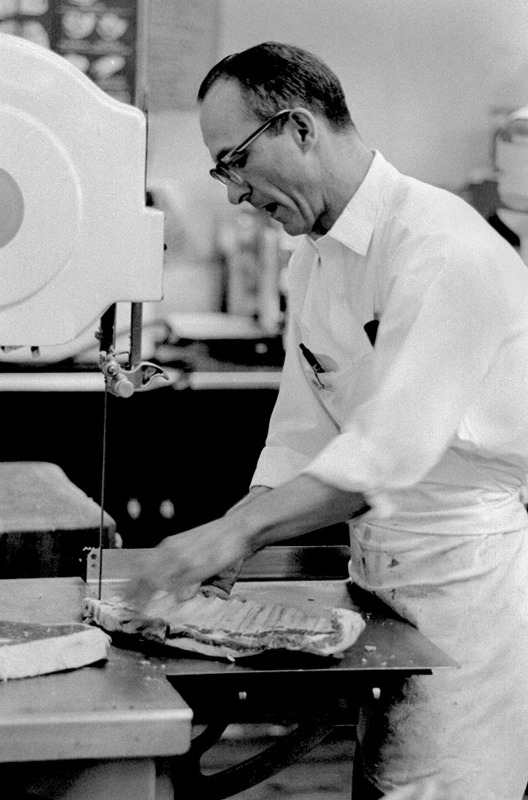 My grandfather was BI Howard, owner of Howard’s. Prior to the upstairs being turned into the Ladies Dept, we would sit on the window’s that overlooked Broadway during the Homecoming Parade. We also would walk down from First Baptist Church on Sunday and see my Grandfather. We would race cars down the aisles of the store. I have so many wonderful memories of the store and I hated to see it torn down. I see that Kris Howell Hoyt was wondering how we all are. We are all great, and I have great memories of the Howell family living next door to us on Scivally Dr. Thank you so much for these pictures of Vandeven’s Store. That is my Uncle Blaine Swan in those pictures. 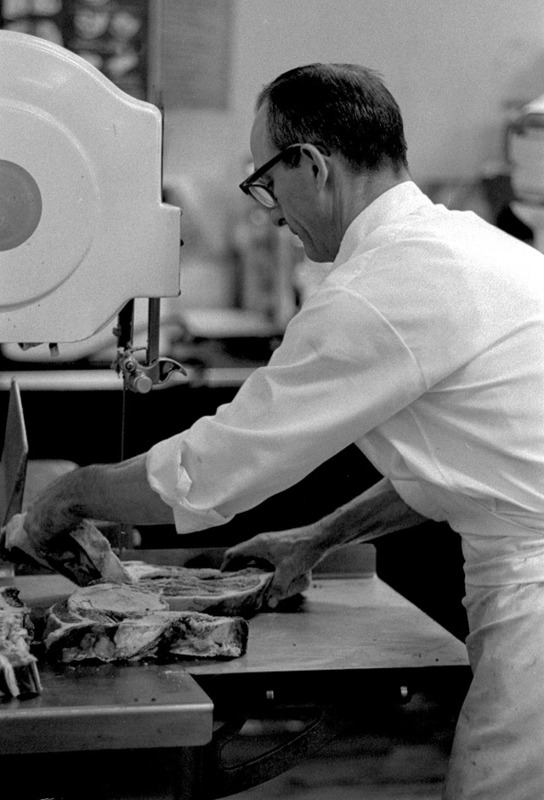 He was the butcher. My Dad and I would go in there every Saturday Morning and my uncle would fix us up with the meat we needed for the week. My uncle was a very special man and everyone loved him. 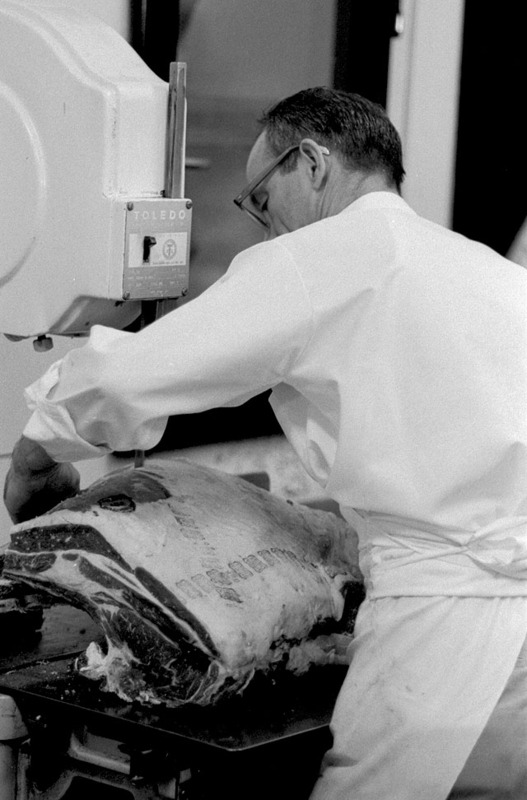 After the store closed my uncle went to work at Fischers Store as their butcher. He stayed there until he retired. My aunt and uncle never had any kids of their own, so my sister and I were like their kids. My sister and I took care of them. My uncle Blaine died March 1, 2010 at the age of 90. He is greatly missed. We have no pictures of Uncle Blaine at work at Vandevens, so thank you for these pictures. What a great story! Thank you for stories and pictures. I was only six years old when the store closed in ’69. I have faint memories of going into the store as a child. My Father, Gene, used to drive the blue Dodge delivery vans when he worked at the store. Edwin’s daily routine was to walk to the store to work from his home a couple of blocks away on Themis street – my brothers and I have many happy memories of times spent there. Occassionally someone who shopped at the store would drop in to say hello to my Grandpa. He was a very generous and kind-hearted man, who would not turn someone away during hard times. 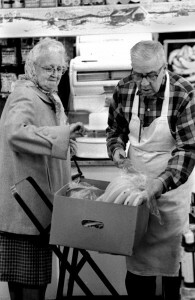 I remember the butcher, Blaine, when we would pick up meat at Fischer’s – he was a very personable gentleman. Thank you for the walk down memory lane. I’m glad you found it. Vandeven’s was one of my favorite stores in town. I’m glad the outside has been preserved, even if the inside’s charm has been lost. I’m so glad to see these photos and read the comments by my distant cousins. I did get to meet Aunt Elma when she and her son Kenny came to my sister’s wedding in Pennsylvania in 1963, but I never got to visit Cape Girardeau, just had to hear about it from my older siblings. This article is a real treasure! Patricia, I’m glad you enjoyed it. Vandeven’s was one of my favorite places to hang out when I was in grade school. Thank you very much for this article and all of the pictures. John Anton Vandeven was my great great grandfather. 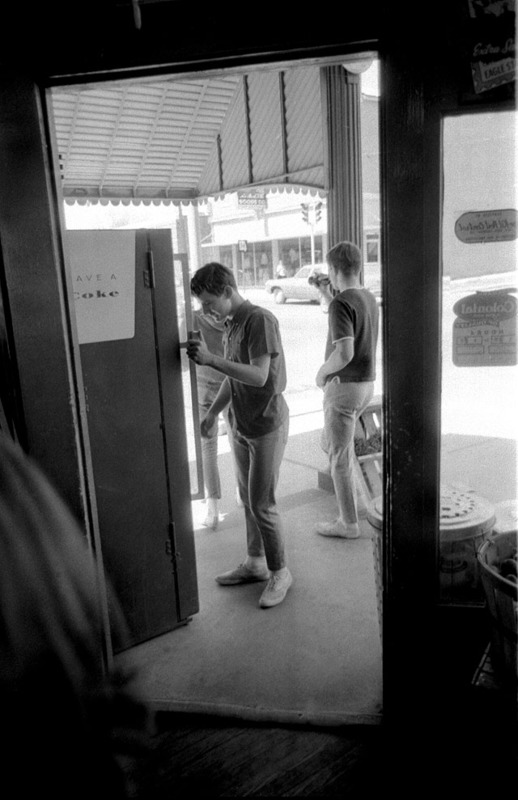 I would very much like to know the names of all of the people seen working in the store in the pictures. Kyle, Blanche was the only one I knew by name. I think some other folks may have mentioned names. It was definitely one of my favorite stores in Cape when I was in grade school. Hi there. Ed Vandeven was my great grandfather. 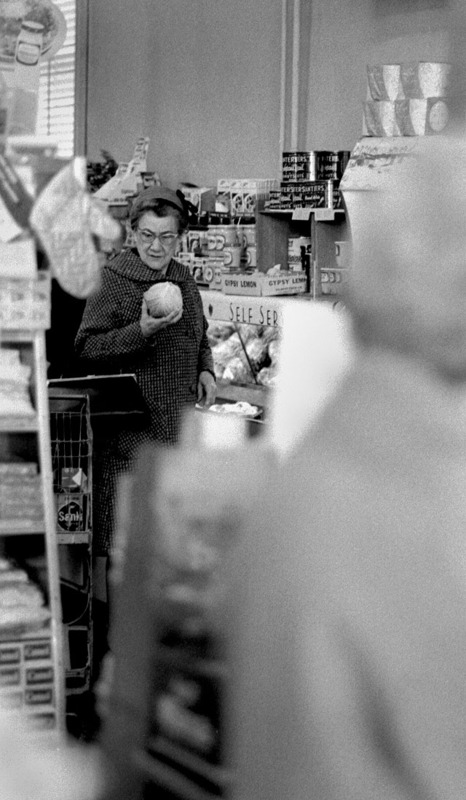 I have no memories of the store since it was closed ten years prior to my birth. However, I do have memories of Ed (or Grandpa Vandeven, as we called him). I hadn’t seen his face, not even in a photo, since shortly before his death. I think I might have been around 5 at the time. I’d forgotten what he looked like. Thanks a lot for posting this. It was a big surprise to see someone had put this page together. for my family tree I search for Van Doren family who lived in Cape Girardeau in 1870. Jacob Van Doren had in his family a little boy John Vandeven. I think I’ve found his Dutch roots. I found a John Vandeven who died in 1940. Is this John the founder of this beautiful Vandeven store? greetings from Hendrik van Doren, Almere, The Netherlands. You are right, the founder of the store was that little boy. He was my great-grandfather. According to a genealogy that his son George wrote in 1975, his father died while employed by the Iron Mountain Railroad and his mother remarried three times, first to “…a Yungling, then a Vandoren and then a Sander.” Uncle George also said that John A. Vandeven was born in Eersel, Netherlands, May 21, 1866. I would love to hear more from you. My email address is read15vand@gmail.com. 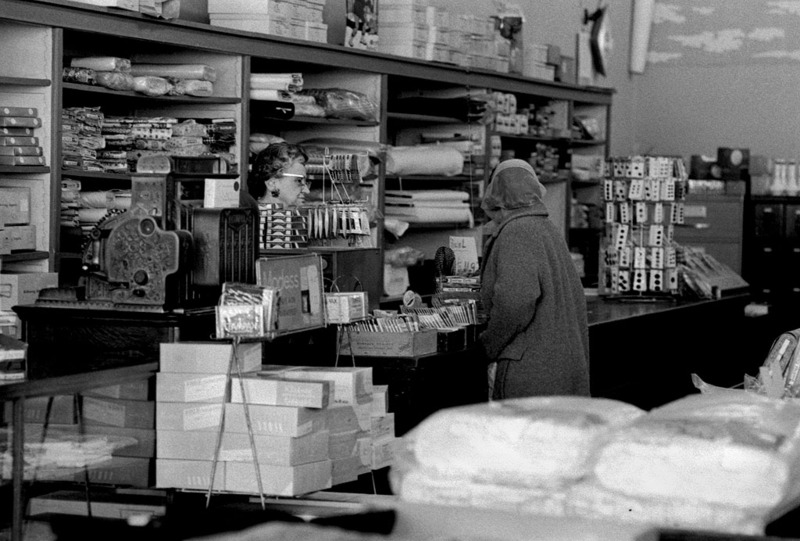 I just ran across this article about my grandpa’s mercantile store. 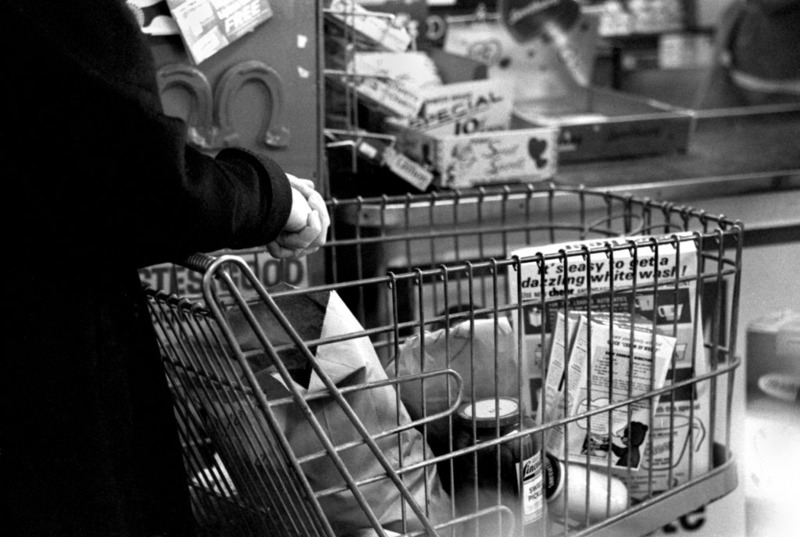 I have many fond memories of going to the store, especially on Sundays when it was closed. 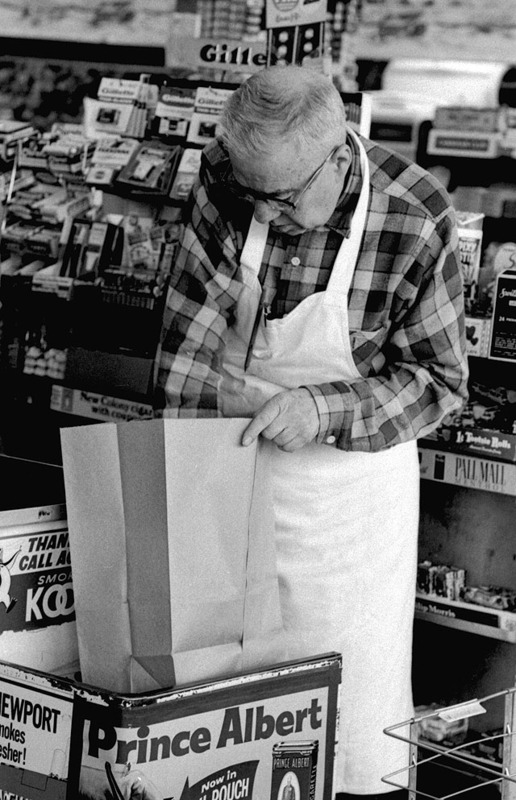 Grandpa Ed Vandeven would take me there to pick out candy by the cash register. 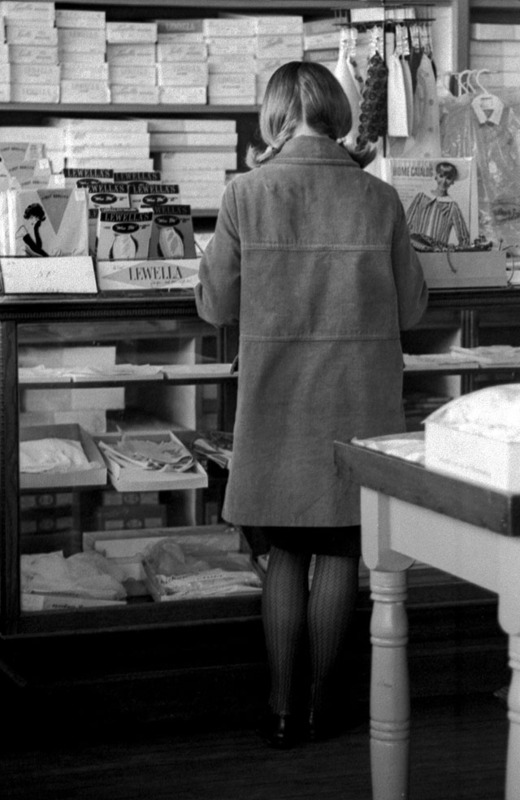 As I got older, I would love to hang around dry goods department and watch the women pick out fabric, hosiery and gloves. My dad, Jerry Vandeven, died 2 months ago. I would have loved to have shown him this article. I recently read in his high school yearbook of “predictions”, that in 10 years, dad would have taken over the mercantile company, expanded it to a full block, with numerous escalators throughout. Makes me think this mercantile store could have been the first ‘Wal-Mart’. I’m sorry your dad didn’t have a chance to see the post. I’m sure it would have brought back memories. No, Vandeven’s couldn’t BEGIN to compare with Walmart. Vandeven’s offered personal, friendly service of a kind that Walmart never did and never will. Your family may not have become one of the richest in the world, but it is remembered fondly by all of us who shopped there. You can take THAT to the bank, even if you can’t write a check against it. Hello my name is Kyle Petter and I am a student at Southeast Missouri State University. I am researching the Vandeven Mercantile Company in Cape Girardeau and would like more information. Kyle, geez, I’ve already done most of your homework for you. If you follow the link in the story and contact some of the folks who left comments, some of whom are members of the Vandeven family, you’ll find lots of info. Remember, history is HIS story and HER story. Don’t rely on the first page of results from Google as the end all and be all. Reach out and talk with some folks who actually worked and shopped in the store. Kyle – if you Google the Company, you can find a wealth of information, including this website in the search results. I was so very sorry to hear that your dad Jerry had passed away. He was a favorite uncle of mine. I really enjoyed his great sense of humor. I was wondering if you remember a special salad that gramma used to make…it was a pineapple salad. I think it had walnuts, pineapple, marshmallows and pineapple juice in it. Do you happen to know the recipe? I’ve tried on a few occasions to make it but couldn’t quite get it right. Hi Everyone! I’m a little late to the party, having been just told of this site by my daughter who is currently in Germany for the summer. She ran across the site while researching the Vandeven Family name to try to visit some of the areas with a Vandeven history. Regarding Vandeven’s store, I am Edwin Vandeven’s granddaughter, Lisa Jill, the youngest of Jerry and Charlene (Bertrand) Vandeven’s 3 daughters. I was only 5 when they closed the store and the only memory I have was creaky wood floors and a scary looking elevator that had a wobbley wood floor. I don’t remember getting any free candy like the rest of you cousins, but I do know Grandpa would let me get as much Double Bubble Gum that my tiny hands could hold from the huge box in the ‘secret’ hallway in their Themis Street house that lead to the upstairs. I am thrilled so many people shared memories of what must of been a wonderful place to be. Lisa… I remember that hallway! When I was little, I’d head straight for that hallway when my mom would take me to visit. I found it fascinating. Around 16 years ago, I had the opportunity to go into the house to look around. To my amazement, it had exactly the same smell I recalled from my childhood. It was just like going back in time. by any chance have any male descendants undergone DNA testing? Please contact me at read15vand@gmail.com if you would like to discuss it. 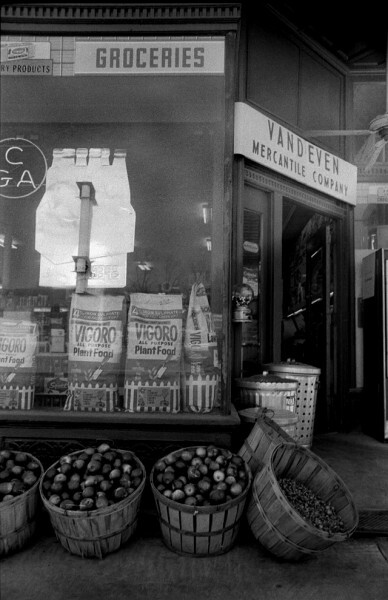 We lived one block from Vandeven’s grocery store. We would collect soda bottles and always return them for cash and get a bag full of penny candy. They had the best selection! We also cut out coupons out of magazines and they would actually give us cash for those as well. Me and my sister would argue over who got to the magazines at our Grandparents and great Uncle & Aunts house first. We were ecstatic! As they say, “we were like a kid in a candy store”! Mom always sent us to Vandeven’s grocery. It was the only place to shop for our family! They had a little of everything. Andy – you said you lived one block from there. Grandpa lived on corner of Themis and Pacific. Did you live near there? When I’d stay at their house, we would walk the block to the store to get candy. Tiger. 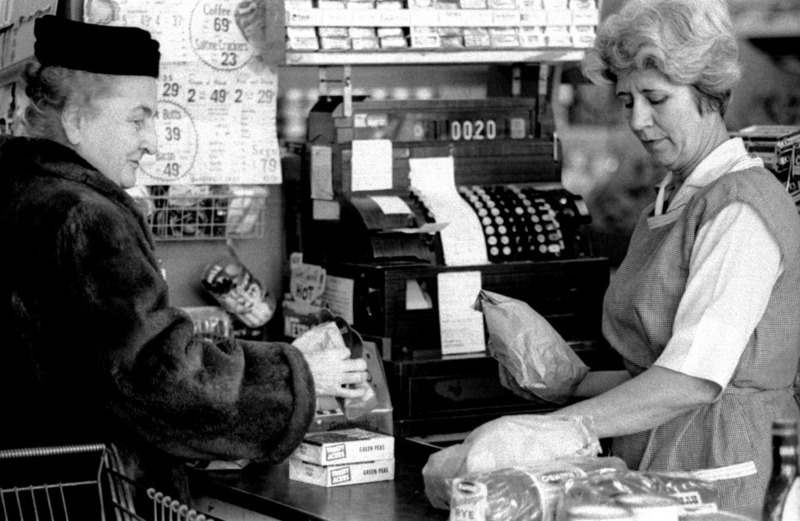 Did you know she joined the Women’s Marine Corp. during WWII? Skeets didn’t keep her Marine background a secret. It was part of her persona. That’s probably one of the reasons she was so strong-willed.